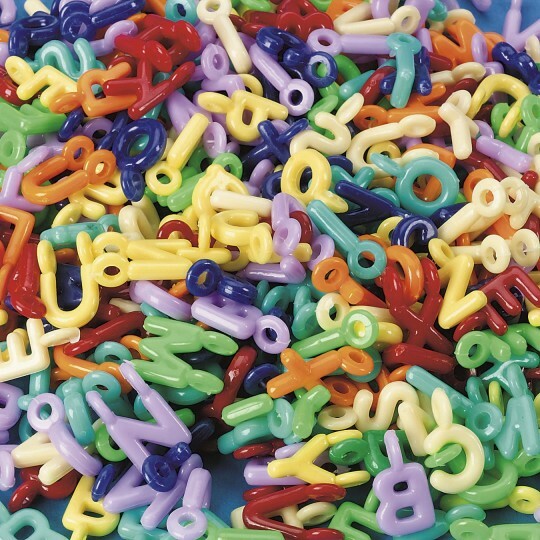 Brite Charms contain complete alphabets and have top suspension loops for stringing. Beads are approximately 10-15mm wide and 20mm long with 4mm hole. Approximately 380 per 1/2-lb pack. Camp kids use these beads to make name necklaces for their stuffed animals. We put a plain bead in between the letter beads as spacers.